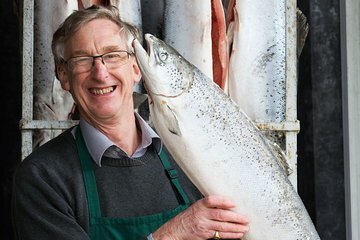 Foodies won’t want to miss out on this unique tour of the award-winning Ummera smokehouse, producers of some of Ireland’s finest smoked salmon. Learn how salmon is cured over a tour then savor smoked salmon, smoked duck, smoked beef, and more at a tasting. Wash it all down with three delicious local hard ciders, created by the owner’s brother. Really enjoyed spending time learning about the smoking process and tasting the wonderful food and cider. I was there at an off time, so there wasn't any smoking actually going on, but this was still highly enjoyable. And the drive to the smokehouse was lovely.